Drop can be adjusted is desired. 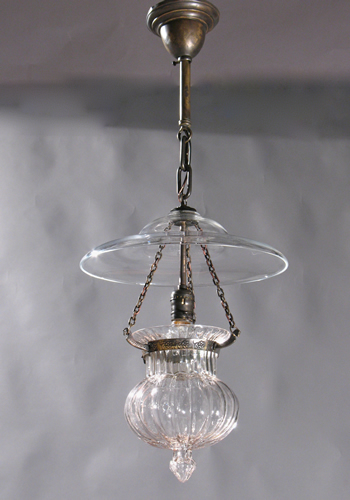 Originally Bell Jar Lanterns were candle fixtures. This one had a single candle and was originally electrified around 1920. We have upgraded the electrical with new sockets and wire.